Student*: Yesterday we were talking about love and relationships. In terms of Buddhism, what is the validity of having a relationship with one person if falling in love just comes from loneliness? Is the validity of such a relationship just another illusion? Trungpa Rinpoche: Well, illusion is not supposed to be looked down upon. In any case, everything’s illusion, so you can’t say this is just an illusion, therefore it does not have enough worth. When you have a very close relationship with a person such as your mate, your husband or wife, that person becomes the spokesman for the rest of the sangha. When you live with somebody long enough, there is intense irritation and intense warmth. Often you regard each other as being very cute and sweet, but sometimes as a living devil or devilette. There are a lot of unexplored areas of experience, and you only get to use your microscope with your mate. With others there’s no time to use it. Nobody else will sit there and let themselves be scrutinized and take the trouble to scrutinize you. Only your mate will put up with that, which is a very generous thing, fantastic. So in that way, your mate becomes a spokesman for the rest of the world. That seems to be a very important part of one’s life. You can’t just shake it off or take it lightly. *The student asking the question is Nicki Omansky Dayley. Good work Nicki! This is a audio clip from talk six of the Vipashyana Meditation Seminar, September 12, 1974, Karme Choling, Barnet, Vermont. This recording is from the Shambhala Archives audio recovery project.© by Diana J. Mukpo. Used here by arrangement with Lady Diana and the Shambhala archives. All rights reserved. 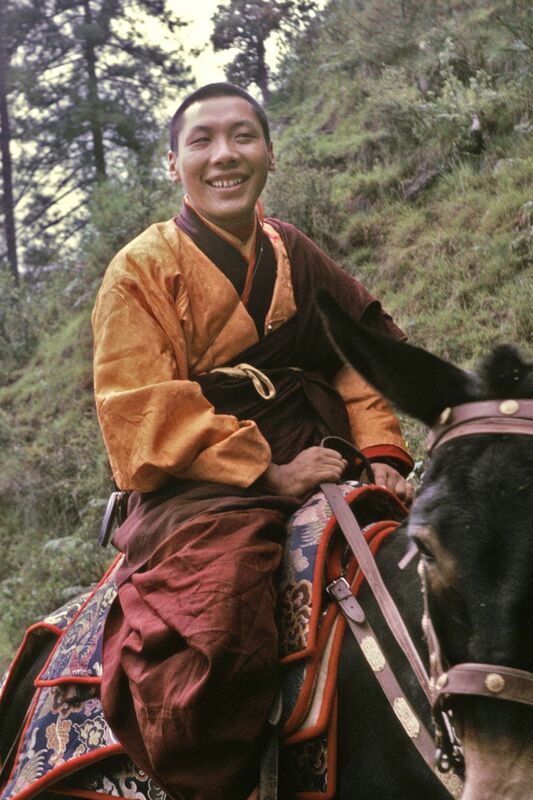 This talk, entitled Loneliness, can be found in THE PATH IS THE GOAL by Chögyam Trungpa. From THE PATH IS THE GOAL by Chögyam Trungpa. (c) 1995 by Diana J. Mukpo. Published by arrangement with Shambhala Publications, Inc., Boston. www.shambhala.com.